Tavistock is the main town of Dartmoor's western moor. It is an exceptionally attractive town owing as much to some fine Victorian architecture as to its picturesque location on the banks of the river Tavy. 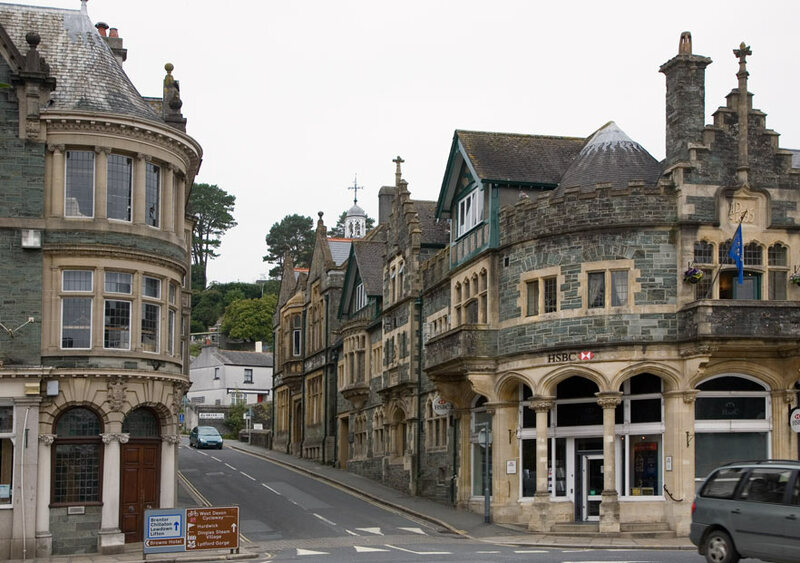 A busy market town, there is no shortage of shops and cafes plus Tavistock is home to a purpose built pannier market, possibly the best in the region. 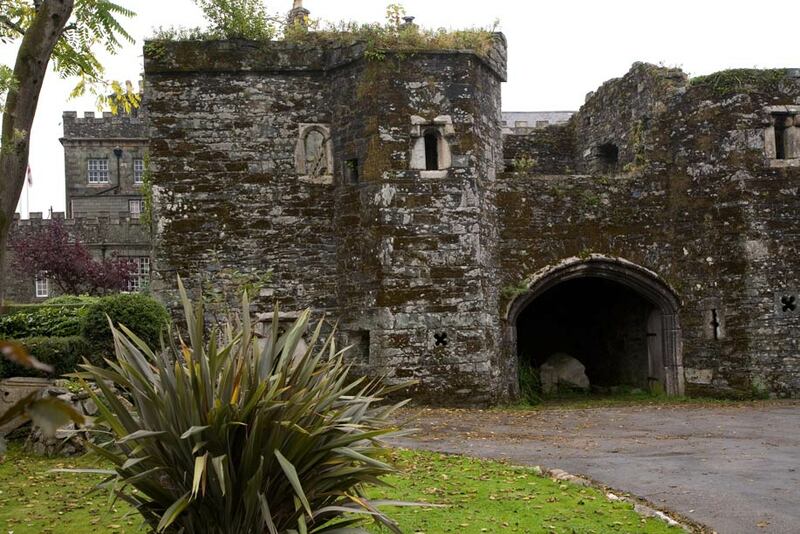 It was the establishing of a Benedictine abbey on the banks of the River Tavy that put Tavistock on the map. Ordgar, Earl of Devon began building the abbey in about 960AD near the site of a Saxon settlement - this is where the town gets its name - Tavi from the river (originally Tau Vechan) and stock from stoc meaning stockade or enclosure. The abbey was rebuilt at around the turn of the millenium after it was destroyed by Vikings and generated enormous wealth over the following century, becoming the West Country's most important Benedictine abbey. There are a few scattered remenants of the abbey in existence around Tavistock town centre. Most notable are the section of cloisters in the St Eustace's churchyard, Court Gate, an archway that has become incorporated into the town hall buildings and the oddly named Betsy Grimbal's Tower. The name apparently comes from a young woman who was murdered by a jealous monk on the site. 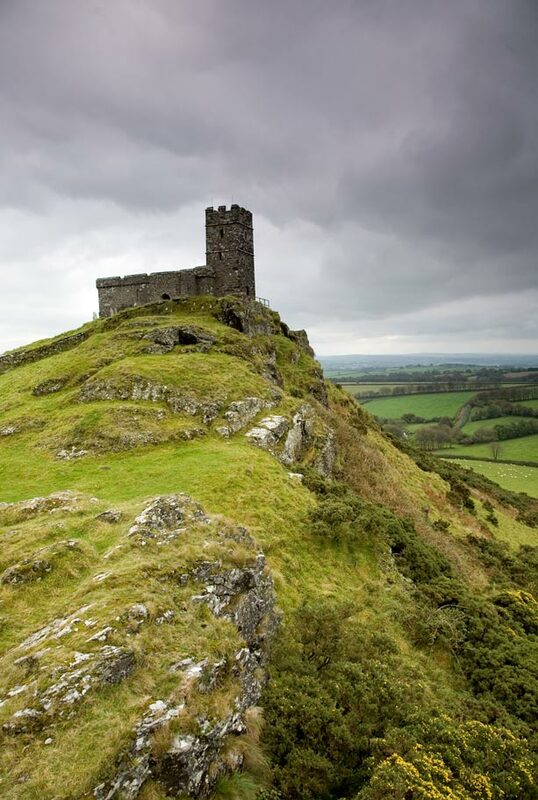 In 1116 Henry I granted Tavistock a charter as a market town and with the discovery of quantities of tin the town became a stannary town in 1281 - one of three on the edge of Dartmoor, the others being Chagford and Ashburton. The stannary towns were where tin miners brought the tin to be weighed, stamped and sold by the assay master. As the towns prosperity grew and grew Tavistock became a borough with two members of parliament by the end of the 13th century. With the dissolution of the monasteries by Henry VIII Tavistock was gifted to the Russell family, ancestors of the Dukes of Bedford. It was Francis Russell, the 7th Duke of Bedford who really shaped the town into its current state. It was the discovery of large quantities of copper in Mary Tavy inlate 18th century that sparked the town's renaissance. Although apparently reluctant to fully exploit this new mineral wealth the duke eventually embarked on the development of what is modern day Tavistock. There are some fine civic buildings, particularly around Bedford Square built from the local stone with its greenish hue. 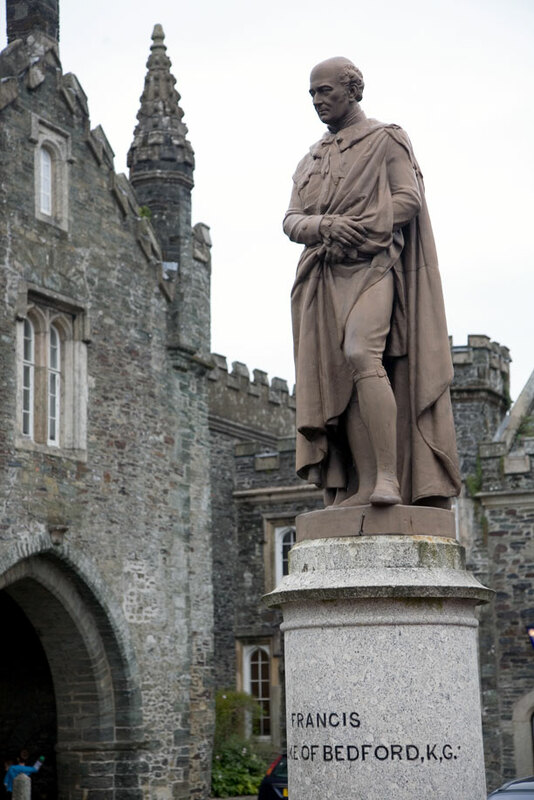 In the centre of the square is astatue of the duke looking down Plymouth Road towards the statue of another, more famous, Francis. Perhaps Tavistocks most famous progeny Francis Drake, the hero of the Armarda, was reputedly born on Crowndale Farm, just south of the town. There is a replica of Tavistock's Drake statue on the Hoe in Plymouth. Overlooking Tavistock, and Dartmoor to the east is the 1130ft conical bulk of Brent Tor. At the summit is the small church of St Michael. From here the view is moorland in every direction, with the treeless lanscape broken by features such as Gibbert Hill and the ruins of Wheal Betsy silver and lead mine.